You are here: Home Days Out BlogTen Historic Must-Sees for 2017! Hello once again from DOUK.com! With 2016 now just a memory and with the new year rolling on, I’ve taken this time to take a look back to our country’s past. The UK is a place with thousands of years of history surrounding us everywhere we go: from the ruins of medieval castles, to ancient monuments standing tall, to attractions dedicated to our predecessors, we are certainly not lacking in areas rich in historical intrigue. So why not take this year to visit some of them? This list covers some of the most interesting historical places to visit or re-visit that offer both a fun and educational experience for everyone involved (I know that historical places have a notorious reputation for being boring but I am here to assure you that that is absolutely not the case!) As a former history student please accept my humble insight into some of the best places to visit to discover all about this country’s fascinating past. I must admit I’m being a little bias here as in my final year of university, I spent a LOT of time here taking notes for my dissertation. However, despite the many MANY gruelling hours I spent here mapping stained glass and marble, this building never ceased to amaze me. 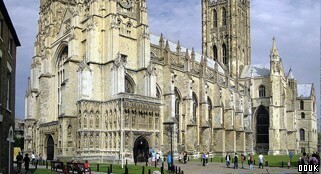 With Canterbury being a Christian centre of the UK and the landing site of the great Christian mission from Rome over 1,000 years ago, when built, this Cathedral became the heart of religious democracy and the post of Archbishop of Canterbury a highly sought after position by the orthodoxy. The story of Archbishop Thomas Becket’s gruesome martyrdom under the orders of the King Henry II in the thirteenth century is a famous one and this incident still stains the space of the cathedral to this day: from his saintly miracles depicted in the East end windows, to the strange pink colouring of the marble around where his tomb once stood. It’s a great shame that many of the original artefacts housed within the building were taken or destroyed during the sixteenth century reformation, including the beautiful golden shrine dedicated to Becket, however, what remains is still a marvel. From the crypts, to the stunning stained glassworks, to carvings hidden on walls throughout, a trip here has much to see and explore. If you really want to get into the cathedral’s story, make sure to join a guided tour for a detailed description of the long and vibrant history of this amazing building. 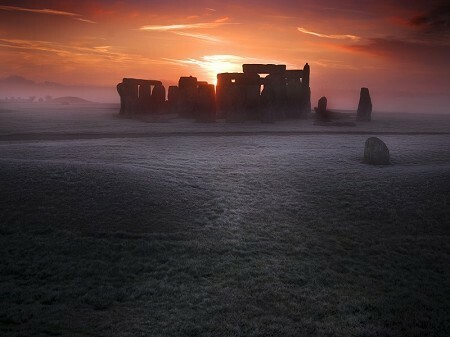 Since this site has been the subject of countless documentaries, films of varying quality (I highly recommend Stonehenge Apocalypse), books and even songs, if you haven’t already, you must come and see this place for yourself! How about looking at the ancient methods of relaxing and health treatments? 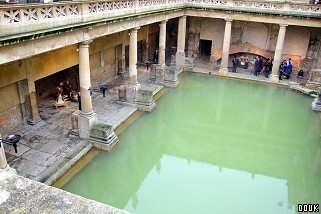 The influence of Romans in Britain can be seen in many places in the UK but one of their lasting and most awe-inspiring monuments is the Grand Bathhouse located in the city named for it, Bath. The temple within was constructed in around 60AD and the rest built over the next 300 years, but continued to be modified over the centuries where people still drank the spring water for its percieved healing powers. Much of the original structure still remains today and a museum of interest has been built throughout it, giving every visitor a wealth of history to enjoy: from the Sacred Spring, to the Temple, to the original Bathing pools, to the many finds that have been discovered hidden in the bathwater. For the full experience, there are audio guides available, giving unique and interesting facts about each individual area as well many anecdotes about some of the archaeological discoveries. Make sure to try a sample of the bath water at the end of the experience and find out for yourself if the springs really do have the powers that they claim. (Don't worry, it's clean and filtered I promise). 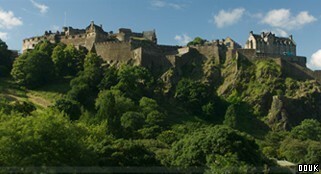 For a castle steeped in a history of war, look no furthur then Edinburgh Castle! Set in the centre of Scotland's grand capital city, this site is surrounded by amazing landscapes and has a number of places within to marvel at. From James IV setting out to Flodden in the sixteenth century to the power struggles between the Douglas and Hamilton families this isn’t a site that was ever short on action! As a stronghold during many conflicts due to its gradual decline as a place of residence and increase in use as military barracks, it has had 26 sieges during its life making it one of the most besieged buildings in British history! Come and visit the famous Stone of Scone or the stone of Destiny as it is known, once stolen to England by Edward I during his violent campaigns in the thirteenth century, but now sitting proudly with the crown jewels in the castle and is only ever removed from Scotland for coronations. Make sure to join a complimentary guided tour or pick up a free audio tour to find out a number of fun anecdotes about this amazing castle. 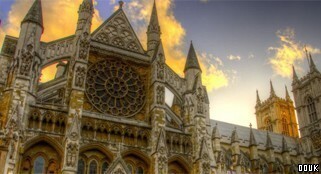 Yet another place I went to for my studies, standing in the heart of London for over 1000 years, Westminster Abbey naturally has a great number of amazing sites to see within. This is the place to visit for anyone interested in religious history as, next to Canterbury, this is the religious centre of the nation as well as a building steeped in the best of British history. Home to the burial grounds of a number of famous royal figures: from the virgin Queen Elizabeth I, to James VI as well as many historic artefacts including the country-wide famous Coronation Chair, originally built for Edward I to enclose the Stone of Scone, and also many famous poets buried and commemorated in Poets' Corner, one visit is hardly enough to appreciate everything to see here. The site of the abbey itself has served as the coronation church since the days of William the conqueror after 1066, but the present building dates to the reign of Henry III in the 13th century. To really get behind all the history housed within the abbey, make sure to join a verger-led guided tour which covers the Shrine, the Royal Tombs, Poets’ Corner, the Cloisters and the Nave for just £5 per person. Who doesn't like castles? 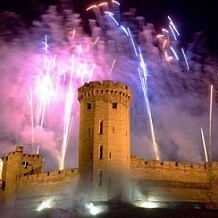 If Edinburgh castle wasn't enough for you, then along the River Avon stands the stunning remains of Warwick Castle. It was originally built by William the Conqueror in 1068 as a wooden motte and bailey structure before being rebuilt with stone in the 1100s. It was then used as a strategic military base and stronghold until the 17th century when it was converted into a country house and became renowned as a place of great beauty. Housed within are a number of well preserved grand interiors that transport you back to what this great castle was like in its heyday, with original artworks, furniture and chandeliers decorating the grand rooms. This is a great attraction to bring the whole family to as it has a number of fun activties to enjoy, from the Horrible Histories Maze where you can get lost in a number of time periods, to the amazing audio-visual expereince of the Time Tower where you can find out all about the castle's long history, to hearing about the bloody tales of the dungeons and so much more, both inside and out of this building, history is made fun for all!! 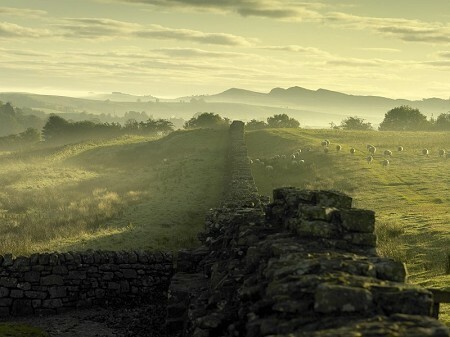 For the ramblers in your life, Hadrian’s wall stretches for 73 miles and there are a number of fun trails to be walked along it. Originally built in 122 AD by the Romans as a fortification under Emperor Hadrian, large pieces of the original wall still remain today and have several areas of interest peppered along the length of it. From the remains of Roman towns, to a number of surviving military turrets, to many temple ruins, there are A LOT of sites to be seen along this route. If you’re in the mood to see more than one, or are looking for inspiration for your next walking holiday, you can tackle the intense 84 mile coast to coast to walk following the path of the wall, or for those wantong to avoid too many blisters there is also the easier 7.5 mile Greenlee Lough walk as well as the family friendly Steel Rigg and Sycamore Gap walk. However far you travel along this ancient structure, there is always something to see and perfectly illustrates how intense and masterful the Romans were when building both their military defences and structuring the surrounding towns. Here comes castle suggestion number three! (We're in the UK, there are a lot of them). 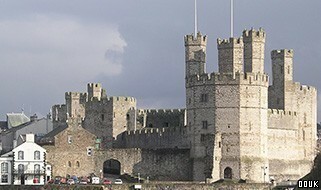 This medieval fortress has stood proudly in North Wales for over 700 years after King Edward I began replacing the original castle wooden structure with stone and gained a reputation as being a site not to be messed with. This is one of the best castles situated within Wales and that's hardly surprising as it marked the site where the son of Edward I became the very first Prince of Wales, an act to furthur solidify his conquest and power in the country, and even marks the site where the investiture of Prince Charles took place in 1969. Looking at Caernafron it marks a more uniquely designed castle with its Polygonal towers and such grand design work was perhaps used to symbolise the strength of the English rule then present throughout the country. Today, there is much fun to be found here with the Royal Welch Fusiliers Museum spread over two of the towers and events often run. If nothing else, it is an amazing piece of architecture that very much reflects the iron will of the man who built it. If Vikings are your thing, then there is nowhere better to find out all about their life, wars and conquests then at the Jorvik centres in York. The Viking Centre, re-opening on 8th April 2017 after extensive rebuilding work following flood damage, stands on the ground of the excavations the Viking city of Jorvik and gives you a full experience of life in York during the Viking age. If you can’t wait until April, don’t worry, as Jorvik will be hosting it’s 33rd Viking festival running from 20th-26th February! 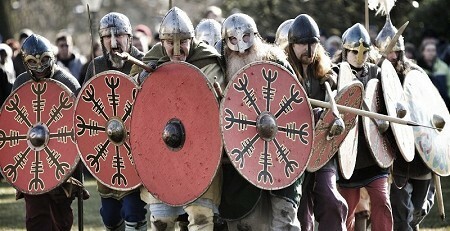 This fun-packed week has a number of different events and activities to come and see, from the opportunity to try real Viking sword combat and archery, to crafting Viking jewellery, watching re-enactments of a Viking army marching through the streets and, of course, the annual beard competition! Discover all about the terrifying army of Eric Bloodaxe in England and see just how much of culture today stems from these big bearded invaders. 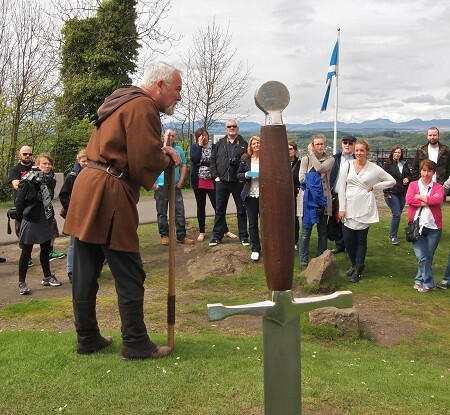 Why not take some time to learn all about Scotland’s national hero, William Wallace? Putting aside the famous and annoyingly inaccurate (history student sorry) representation in Braveheart, discover the TRUE story of his exploits at this the monument built to venerate him. Allegedly the site where he watched the gathering of the English army before the battle of Stirling Bridge, marvel at a great collection of artefacts from the battle including Wallace’s own sword as well as plaenty of other battle memorobilia. While this is a monument that post-dates Wallace’s death by centuries, it is the place to visit to discover all about his story. Visit the Hall of arms and see how the armies of Wallace and Edward I came to blows at Stirling Bridge and how the Scots fought through to victory. There are a number of events hosted throughout the year to enjoy: from re-enactments of famous moments from the battle, to treasure hunts, as well as events celebrating the anniversary of important times including Wallace’s eventual capture and execution. Despite his grizzly end at the hands of the English, there is a lot of fascinating history surrounding this figure and, when in Scotland, it would seem a shame not to find out about one of their most famous national heroes. So whether you’re interested in castles, monuments, landmarks or walks, you can see that the UK is certainly not lacking in historical places to visit with somewhere guaranteed to pique your interest. This year why not visit a few sites and see just how far we’ve come since centuries past as well as how our culture today has been influenced by our ancestors: from the language we speak, to the places we habit and even in how we live our lives!